In 2014 Nigel rode from Vancouver to Seattle in memory of his good friend Alan Jago who died the previous year from Cancer. 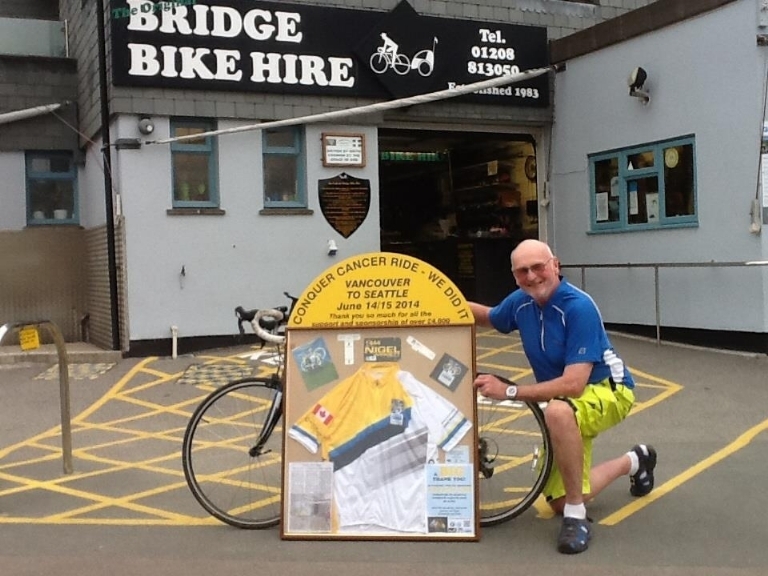 Having trained for months around the North Cornwall roads and lanes, including the Camel Trail in most rides, he completed the ride, aged 69, and raised over £4000 for research into Cancer. The generosity and support of locals and those he met was incredible. 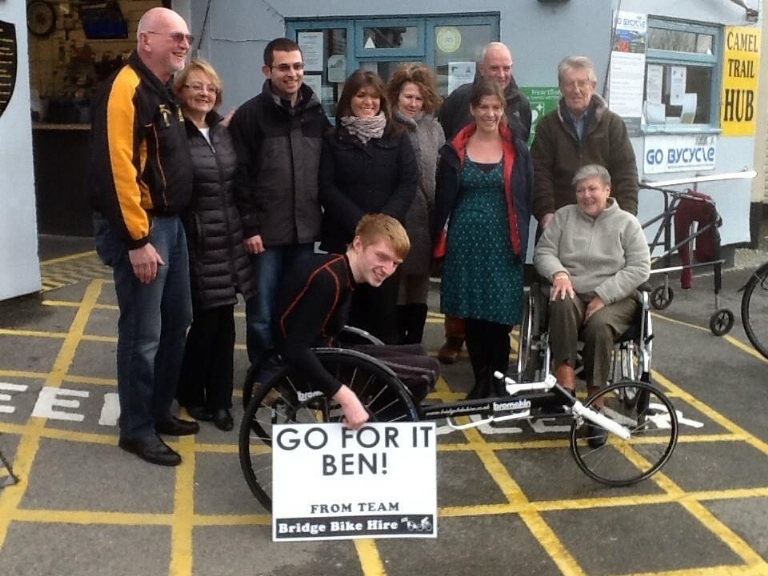 Ben Oliver from Bodmin is an exceptional athlete and all that was holding him back was the lack of professional equipment. After seeing an appeal in the local paper for donations Bridge Bike Hire purchased the bike for him and he was soon on his way success at national level. 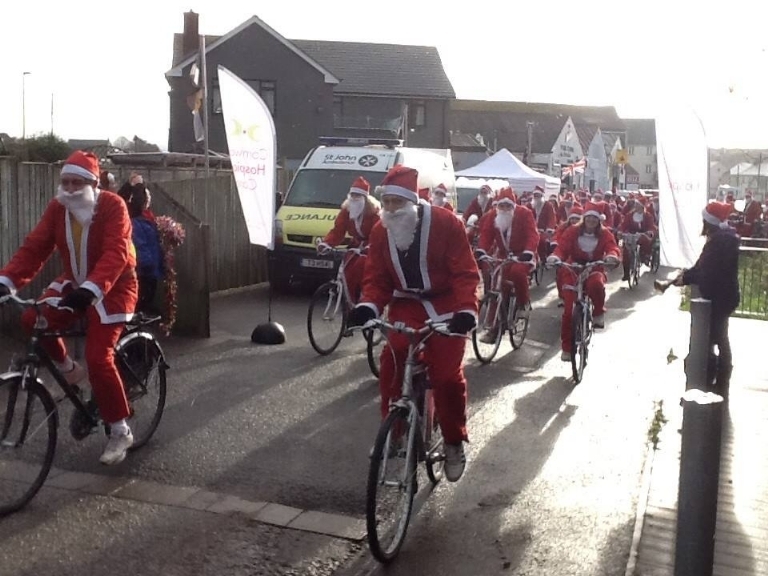 These dedicated Santas cycle each year to raise money for Cornwall Hospice Care and do a tremendous job no matter what the weather! 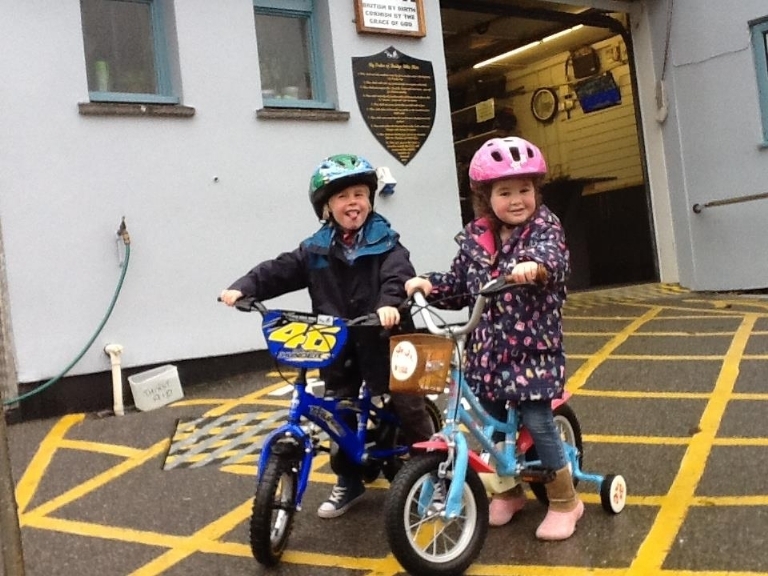 St Issey Preschool organised a sponsored bike ride for all the families and raised over £500 which went towards improving their play area.